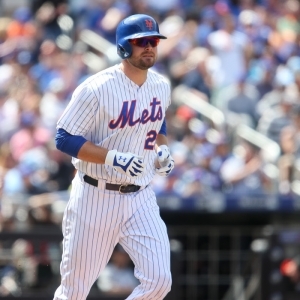 The Atlanta Braves take on the New York Mets on Sunday at Citi Field. The Braves send Michael Foltynewicz to the mound to face Dillon Gee of the Mets. The opening line for this matchup has Atlanta at +111 and New York at -121. The over/under was set at 7.5. The Braves, with a 34-27 run line record, cover the spread 56% of the time. They also have a 38-20 over/under record. The Mets are 30-32 against the run line and have a 32-25 over/under record. They cover the spread 48% of the time. The Braves come into this game with a 29-32 record, and they are 14-18 away from home. Michael Foltynewicz has an earned run average of 4.72 and is 3-2 so far on the season while having a 1.49 WHIP. He's pitched 47.2 innings thus far while surrendering 55 hits over that time and when he starts, the Braves are 4-4. Their record against the over/under when he starts is 4-3. His teammates are averaging 4.4 runs a game when he pitches. The bullpen has given up 164 hits on the season and have a earned run average of 4.70. Teams are hitting .241 against the bullpen while being struck out 158 times and walking 82 times this season. As a team, Atlanta has allowed 8.67 hits per nine innings while striking out 7.28 batters per nine. They are 24th in the league in team earned run average at 4.19. Atlanta ranks 10th in the league in team batting average at .258 while hitting .254 on the road. The Braves on-base percentage sits at .322, which puts them at 8th in the league and they have a team slugging percentage of .373. They rank 11th in baseball with 8.69 hits per game and Freddie Freeman leads the team with 71. With a 33-29 overall record, New York will come into this game 23-10 at home. Dillon Gee is starting this game 0-3 for the season with an earned run average of 4.50 and a WHIP of 1.50. He's pitched 36 innings thus far while surrendering 44 hits over that time in which the Mets are 3-3. Their record against the over/under when he starts is 3-3. His teammates score an average of 3.2 runs a game when he pitches. The bullpen has given up 125 hits on the season and have a team earned run average of 2.68. Teams are hitting .211 against the Mets bullpen while being struck out 153 times and walking 57 times this season. As a team, New York has allowed 8.47 hits per nine innings while striking out 8.09 batters per nine. They are 6th in the league in team earned run average at 3.47. They rank 25th in the league in team batting average with a .242 average while hitting .244 at home. The Mets on-base percentage sits at .307, which puts them at 21st in the league and they have a team slugging percentage of .373. They rank 27th in baseball with 7.94 hits per game and Juan Lagares leads the team with 61. In terms of team defense, the Braves have a fielding percentage of .985 with 33 total errors, 617 assists and 1,617 put outs. For the home team, they hold a .983 team fielding percentage while committing 39 errors, accumulating 614 assists and compiling 1,636 put outs.